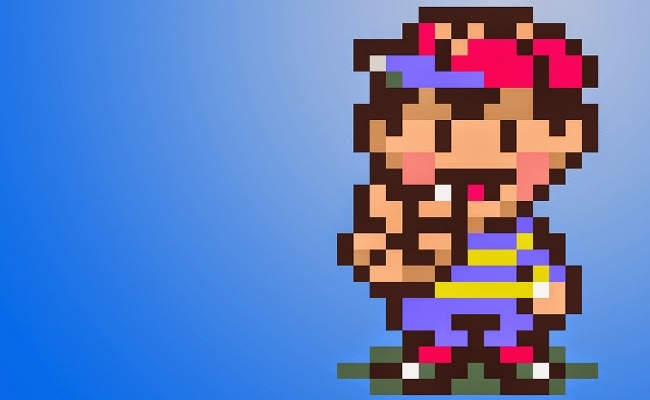 This week on PopMatters I talk about space and Earthbound. No, it’s not about interstellar phenomena; it’s about the confines of a backpack. One of the most striking things about replaying Earthbound has been the inventory system. For one, it’s extremely limited. Everything takes up precious slots in Ness’ overstuffed backpack. By the time you factor in weapons, armor, and mandatory quest-specific items, you’re down to about 8 precious spaces in which to stash everything you need to keep yourself in fighting shape. Eventually you get some friends who can expand the amount of stuff you can carry, but the physical placement of items still matters. There’s no concept of a party-wide magical bag of infinite holding capacity. Everyone needs to carry their own weapons and if someone gets taken out, their items disappear with them. It’s rare that I play a game these days that makes me think so much about the specific number of items and their exact locations. The fact that these items are rooted in our reality rather than that of some high fantasy or cyberpunk realm. I’ve known the pain of thinking that I have cold medicine in my bag only to realize that I forgot to buy it when I was at the store. Mechanically, the difference between having a pack of beef jerky can be the difference between surviving a battle and having to re-crawl your way through a dungeon. The mundanity of the items makes the game more relatable and it makes the absence of these items more poignant. I can not only clearly visualize them, but I can also remember the disappointment of finding myself without them.